Win the NEW Best Bottom Heavy Wetter Cloth Diaper! 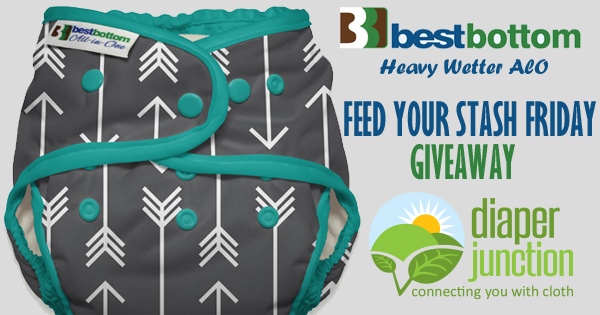 6/2/17 FYSF, Win a BestBottom Heavy Wetter AIO Cloth Diaper! Today's giveaway features a fairly new product, the Best Bottom Diapers Heavy Wetter AIO! Enter to win it in this week's giveaway. The Best Bottom Heavy Wetter AIO might just solve your nighttime and naptime cloth diapering dilemma. One lucky Diaper Junction fan will win their choice of any in stock Best Bottom Heavy Wetter AIO. This was the day my babe turned 5 months and the day after my birthday! Just got a medium best bottoms package. Wish I would've seen this!